One of the most intimidating aspects of the “real world” after graduation is business professionalism. It is the unfamiliar appearances, communication and habits that derive this intimidation factor. The days of being surrounded by students in gym clothes or jeans and T-shirts on a daily basis are long gone. The conversations change from Greek life to happy hour, from roommate struggles to insurance rates. So what’s the best way to overcome this professional roadblock when the skills must be taught? A survey by York College notes that 45 percent of recent college graduates have a “too casual an attitude toward work” and a “worsening work ethic.” To help bridge this learning gap, colleges such as Columbia University and the University of North Carolina, have published articles touching on the basics of the professional world for college students. The job interview and the first day of work are two of the most nerve-wracking situations for young professionals because of the unknown. Always come prepared and confident and make a lasting first impression as a skillful employee, not just a college student. Introduce yourself by first and last name. Also, unless otherwise given permission, refer to everyone with by his or her proper title. Be aware and follow the ethics of your industry. Dress for success. Remain modest, yet professional in business settings. Always be attentive and punctual. Get enough sleep the night before in order to make it through morning meetings without appearing drowsy. Always be polite to restaurant staff. This is a reflection of how you treat coworkers and clients. Be aware of conversation when ordering a meal. Try to avoid messy and difficult to eat foods. When using silverware, always work from the outside in. 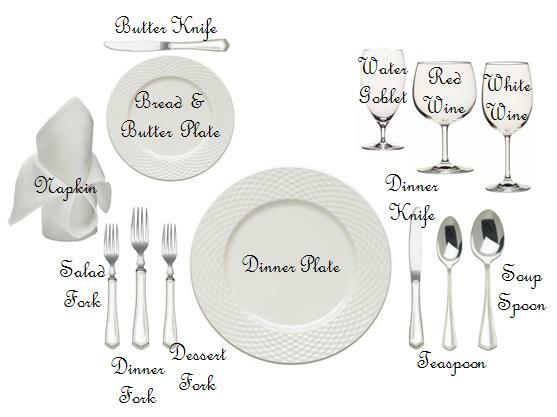 Start with the fork farthest from the plate (it is typically the salad fork). Never ask for a to-go box. You are here for business, not leftovers. Professionalism varies in every industry and workplace. In general, it is always better to overdress than underdress, and to act more proper than casual. 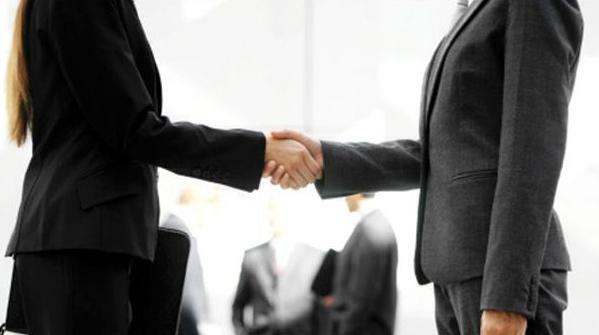 Even if a workplace is not a formal setting, it is important to practice proper business etiquette. Whether when attending a conference, meeting with the CEO of a company or simply interviewing for a new job, professionalism is a quality that makes specific students stand out among a sea of candidates. Have any additional etiquette tips? Let us know! Like us on Facebook and follow us on Twitter!